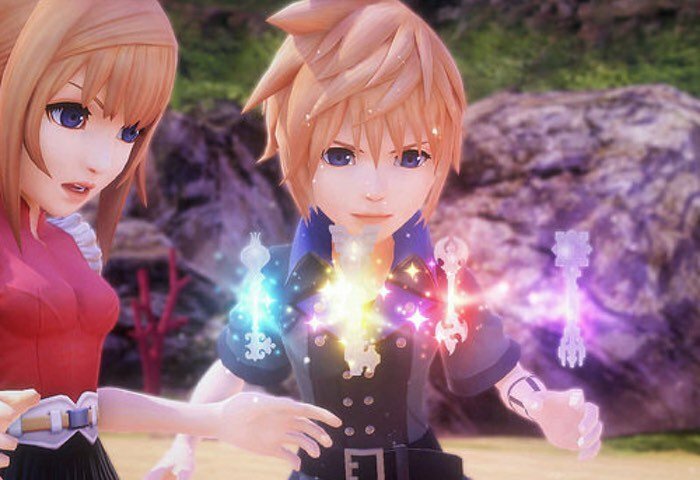 Brendan Docherty Product Marketing Manager at Square Enix has taken to the official PlayStation blog this week to reveal more details about the new upcoming game World of Final Fantasy, during which players to control of a pair of twins named Reynn and Lann. World of Final Fantasy will be launching on PlayStation 4 and PlayStation Vita later this year on October 25th throughout the US and in Japan on October 27th and throughout Europe one day later on October 28th. Check out the latest trailer below to learn more about it storyline and gameplay as well as the unique way Lann and Reyne can change their form. In Grimoire, all the characters and monsters encountered by the player are rendered in a chibi-style. The exceptions are Lann and Reyne, who can shift at will between chibi form and their true forms. During their travels, Lann and Reyne befriend various monsters called Mirages that they can utilize both in battle and within the navigable environment. The game is intended to feature gameplay reminiscent of early games in the Final Fantasy series, with an emphasis on accessibility to younger players. The game will follow two siblings who have been thrust into a world known as Grimoire, where they encounter characters and creatures from various Final Fantasy games.